Jalal ad-Din Rumi (1207 – 1273) was a Sufi mystic and Persian poet. His mystical poetry has a universal appeal, which has made him one of the most celebrated poets of the modern age. Rumi was brought up in the Islamic faith and became well acquainted with the Quran. 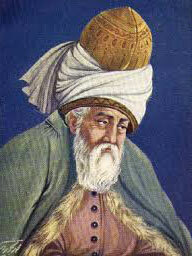 Rumi became a celebrated scholar and was admired for his learning. At the age of 25, Rumi took up a position as the Islamic Mmolvi of a madras in Konya. Although following the Sufi path, he became an Islamic jurist and gave sermons in the mosques of Konya. However, his life changed when he met the wandering Sufi mystic Sham al – Din in 1244. This meeting had a profound impact on Rumi, he felt Sham to be a divinely inspired person, and he took him to be his Guru. Under the guidance of Shams, Rumi lost interest in the more cerebral academic studies and became enamoured of the way of the mystic – the path of the heart. Rumi became an ascetic and devoted to the unorthodox spiritual path. Only four years after meeting Shams, Shams disappeared (rumours suggested he was murdered with the connivance of Rumi’s son, jealous of his father’s devotion to Shams). Rumi’s grief led to some of his greatest poetry in the Divan-e Shams-e Tabrizi. This spiritual devotion manifested itself in Rumi’s ecstatic mystical poetry. In particular, Rumi captured the divine romance of lover and beloved – the perpetual yearning for the Divine. Through his poetry, Rumi expressed his philosophy which included tolerance of all religious beliefs, the importance of goodness and charity, the belief in reincarnation and the soul’s evolution. Rumi also playfully hinted at the limitations of conventional morality and religion – hinting the way of the heart transcended religious doctrines. Above all, he advocated the importance of love. Rumi passionately believed in the capacity of poetry, music and dance as a path to union with God. Rumi’s poetry contained lines based on the Quran, but he explored themes beyond the narrow boundaries of religion. People see in his poetry a glimpse of the Divine and the universal quest of love. This transcendental quality of Rumi’s poetry has given him a universal appeal. Even during his lifetime, he acquired followers from a diversity of religious background. At his funeral, which lasted over a month, he was visited by Muslims, Jews, Persians, Christians and Greeks. 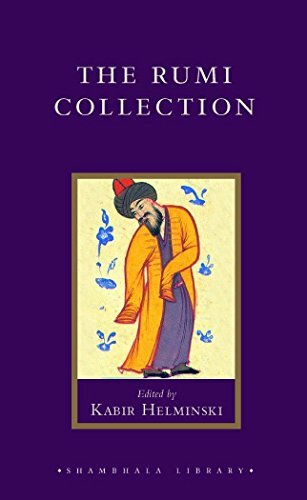 Rumi’s teachings and poetry formed a basis for the practice of the Whirling Dervishes and the path of the Mevlevi tradition of Sufism. Rumi’s faith was born from the Islamic religion. He makes frequent reference to the Quran. Flee to God’s Qur’an, take refuge in it there with the spirits of the prophets merge. The Book conveys the prophets’ circumstances those fish of the pure sea of Majesty. However, Rumi was never limited to scriptural interpretations of religious doctrine. He taught and exemplified the fact that the essential aspect of religion is an individual seeking and personal experience of the divine. According to E. Brown, Rumi was a Sunni Muslim, but it an interpretation of Islam that was mystical and universal. Citation: Pettinger, Tejvan. 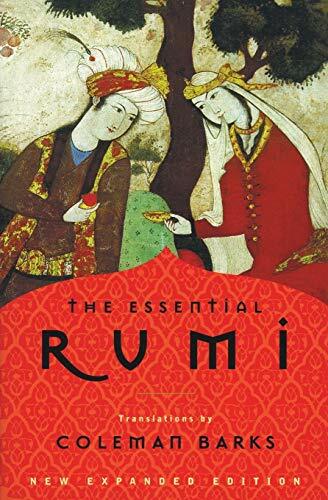 “Biography of Rumi”, Oxford, UK www.biographyonline.net – Published 24th July 2013. Last updated 22 Feb 2018. 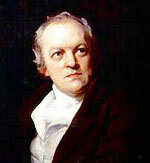 Famous Poets – The great poets. William Blake, Emily Dickinson, John Keats, Homer, Rabindranath Tagore. Famous Muslims – Including Muslim scientists, sports-people, writers and politicians. Famous saints – famous saints from different religious and spiritual traditions.